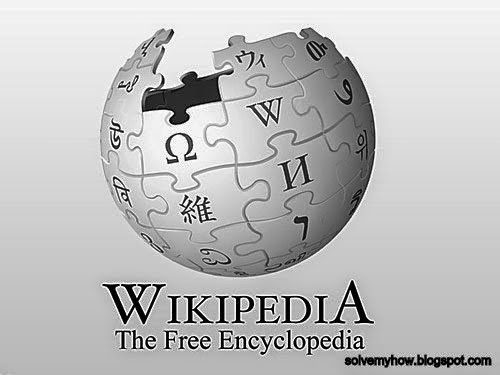 Wikipedia is the Largest Encyclopedia in the World with a collaboratively edited, multilingual, free Internet encyclopedia supported by the non-profit Wikimedia Foundation. Wikipedia's 30 million articles in 287 languages, including over 4.3 million in the English Wikipedia, are written collaboratively by volunteers around the world. Wikipedia is the 6th Most Visited Site in the World according to it's alexa Rank . Wikipedia is Well known for its Light Weight and Low Page size . Even when you search something on Google or on any xyz search engine the first result will be of WIKIPEDIA most Oftenly. But, one needs Internet for using Wikipedia and I agree most of you having Internet these days but what if somewhere you need Wikipedia and you wouldn't find Internet near by you? So, Is there is any Solution for this ? Yes, there is the Solution. Now you do not need Internet to use WIKIPEDIA and for this you just have to download one Software called KIWIX. Well, KIWIX is a Offline Reader for Web-Content which made available Wikipedia Offline i.e Accessing Wikipedia without Using Internet. Kiwix enables you to have the Whole WIKIPEDIA at hand wherever you go...! on a boat, in the middle of the nowhere or in jail, KIWIX gives you access to the whole Human Knowledge. you don't need Internet, everything is stored on your Computer, USB Flash drive or DVD ! KIWIX has just Compressed Million of WIKIPEDIA Pages into Small Packages. KIWIX is Mostly Available for Every Operating System WINDOWS, MAC, LINUX You can read about KIWIX on there WIKIPEDIA PAGE . Here you will see one Button named "Download WIKIPEDIA".